If you haven’t started to think of chewing gum as a potential ally towards a better oral health, then you should do so now! Most of us would think of chewing gum as a sort of candy every time it is presented to us, but the truth is that, under the right circumstances, a chewing gum can provide you with very awesome benefits to keep your pearly whites in good shape. Now we shall head into the convenient benefits that chewing gum can brings us. With the help of our trusty Los Algodones dentists, we shall dwell into these good aspects in order to get the best out of them. 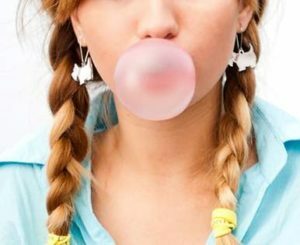 What’s so good about chewing gum? Sugarless chewing gum is a very versatile and mouth-friendly ally that we can start to use now. It uses a substitute of sugar called xylitol, so it is still sweet without the tooth decay risk! In order to get into all the fuzz, we shall break it down into many interesting items. We look forward to know what you think about these after you finish going through them! One of its benefits is that it increases our mouth’s saliva production, which is perfect for people who suffer from dry mouth, also known as xerostomia. The role that saliva plays in the well-being of our mouth is huge. Thanks to saliva is that we are able to speak, eat, break down and swallow food. It is also a very efficient defensive mechanism against bacteria and the plaque that can incite tooth decay. As such, it is important to have our saliva production at good levels. But what affects it? There are many causes that can be linked to a low saliva production. Some of the most common ones are medications and age-related. Who doesn’t love a quick way to regain a fresh, minty breath on the fly? Either it is for a work environment, a get-together, a small trip to the store, or a visit to a friend or partner, we always want our breath to be at its best behavior in order to avoid embarrassing moments. That is where chewing gum comes in to give that your mouth a fresh minty breath. And you do not have to feel any guilt about its sugar messing up with your teeth if you choose a sugarless one. It is important to note that it has to be sugarless chewing gum the one we use here. As there is often food, sugar, and plaque that stick to our teeth, chewing gum helps towards dislodging those and keeping your teeth clean. Tooth decay is the result of plaque and bacteria sticking to our teeth and having the time to wreck havoc. For this reason is why Los Algodones dentists recommend brushing twice a day, at night and then in the morning. This way we make sure that the plaque has no chance to do as much damage and to harden into tartar. A ton of foods and drinks out there can cause tooth stains and discoloration. And depending on how long they have contact with your teeth, it becomes a decisive factor on whether our teeth only get extrinsic or intrinsic stains. By having some sugarless chewing gum, it helps cleaning those pesky residues, effectively helping us clean our teeth when we are nowhere close to brushing our teeth, such as while traveling or at a friend’s house. Some of the food and drinks that can stain our teeth are: coffee, dark sodas, pasta sauce, berries, to name a few. Some dental treatments such as tooth whitening leaves our teeth susceptible for a little while to temperatures. The same goes for at-home teeth whitening trays and kits. Under these situations, a bit of gum comes very handy as it helps reducing the effects of tooth sensitivity from our teeth. No Replies to "Sugarless Chewing Gum: A Strong Ally"